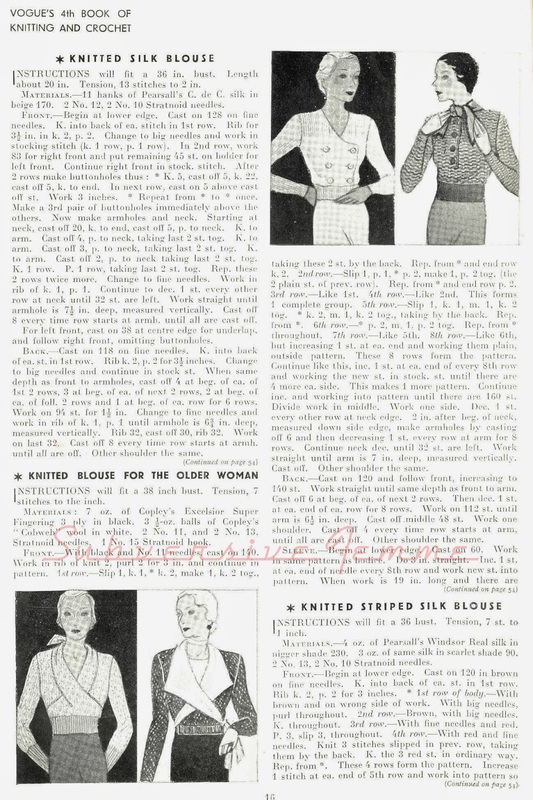 Welcome to Curvy Month – a whole month devoted to outsize (greater than 34″ bust) vintage knitting patterns. After searching through my collection I’m ready to offer up another 10 stylish offerings that I hope you’ll enjoy. 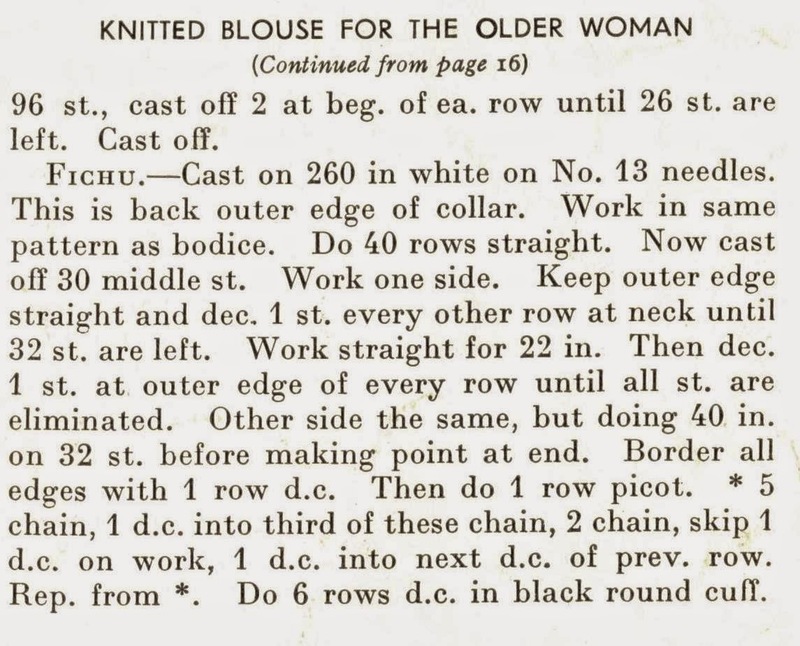 Today’s knitting pattern comes from Vogue’s 4th Book of Knitting and Crochet circa 1936, called Blouse for Older Woman. For a matronly design, I actually think this is quite stylish! 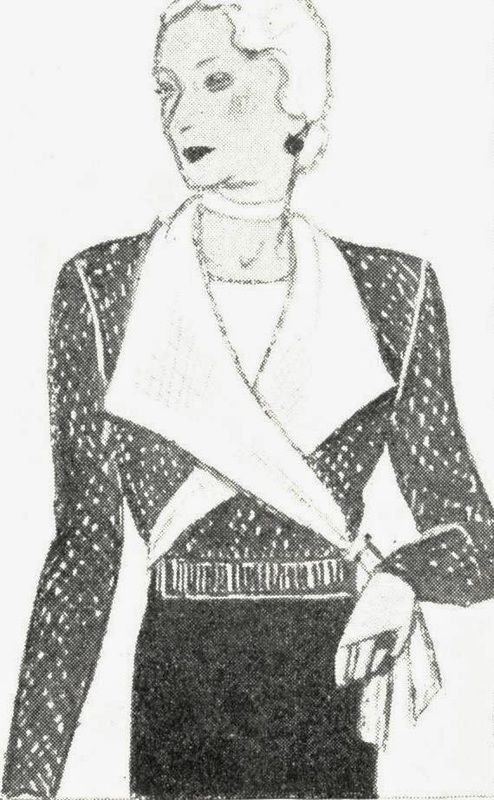 I really like the wrap collar style, with side tie. This Vogue magazine is filled with great styles, I can’t wait to share more with you this year. Previous Post Sewing, Knitting and Dancing! I've been eagerly waiting for this series of posts. Thank you so much for these, I look forward to seeing what other lovely patterns you have for us. I am currently working on another pattern from your blog and loving it. Fabulous ideas! I just love that wrap sweater. I could see it working well on a ton of different body types. Thank you for sharing, lovely lady. Ooo, I love the collar on that sweater. I wouldn't have called it matronly at all! I can't wait to see what other patterns you post. Oh love it, what yarn did you use to create the black and white project? Thanks for all your love curves work it make me feel so happy to visit you blog a safe place on dark days. Hi sweetie thanks for visiting! 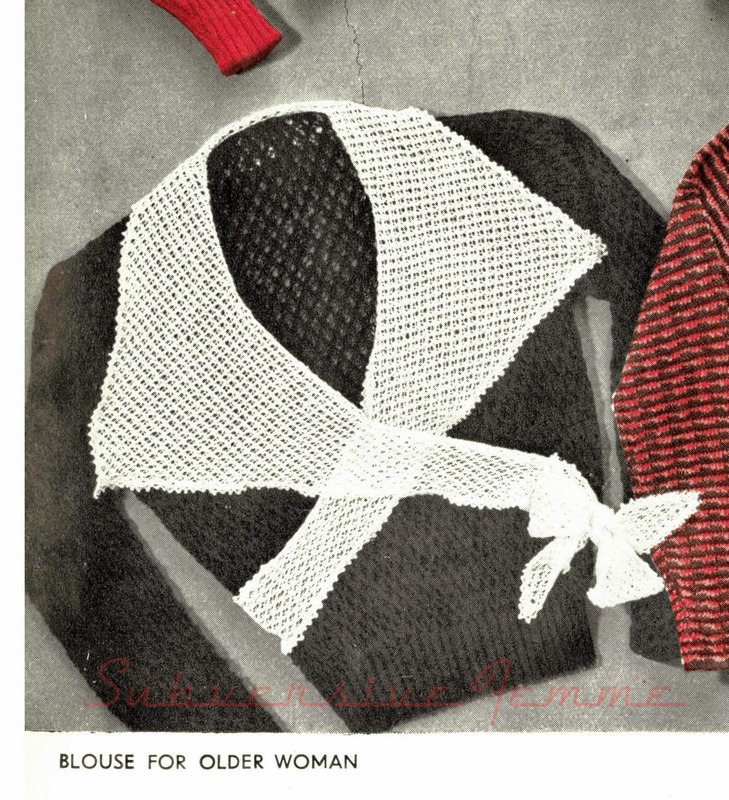 I didn't knit this one – that's a scan from the pattern book, sorry!